I was utterly disgusted to find the destruction of the southern line of conifers in Millstreet Town Park now complete. A number of years ago the line sheltering the car park was cut down. 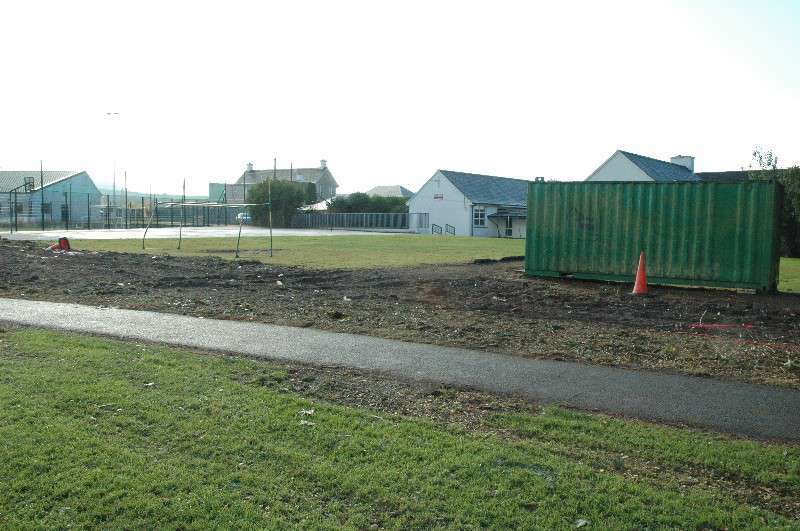 Last year another dozen or more were cut down to make way for another football pitch…and now the carnage is complete. (Or is it???) I can think of no good reason why these perfectly healthy trees should have been cut down. They provided shelter from the southern gales and a brief but pleasant escape from the concrete and metal jungle that we have surrounded ourselves with in our daily lives. No More.. Now we have the inglorious view of the gable end of the National School complete with 40ft steel container, more floodlights and a huge floodlit metal cage (see picture above). 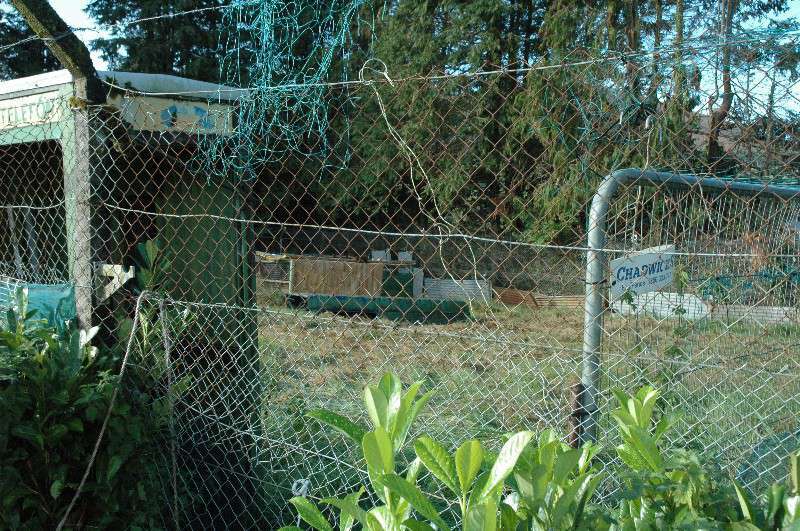 for torture chamber for our endangered native species of hare) itself is a depressing sight with dilapidated telephone kiosks, chopped tops of cars, rolls of wire strewn about, construction fences (apparently loaned from Chadwicks?? 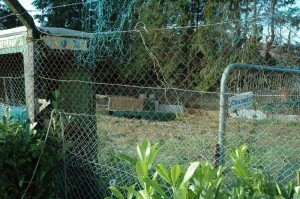 ), barbed wire and to literally top it all.. a fishing net suspended over the whole shebang. Lovely. And such a good cause. Worth every penny of your Local Lottery money. Now … lets cut down some more ugly trees. Last year I submitted a petition to the Millstreet town park committee, signed by 52 people who enjoy a walk in the park and who objected to the park being closed for 6-7 weeks over the winter (..for the purposes of hare coursing). The reply I received back made no reference to the petition submitted . I submitted it again. No reply. 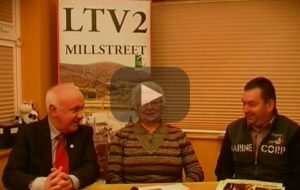 Such is the contempt that Millstreet Town Park committee has for the people of Millstreet. That is why I write this publicly. 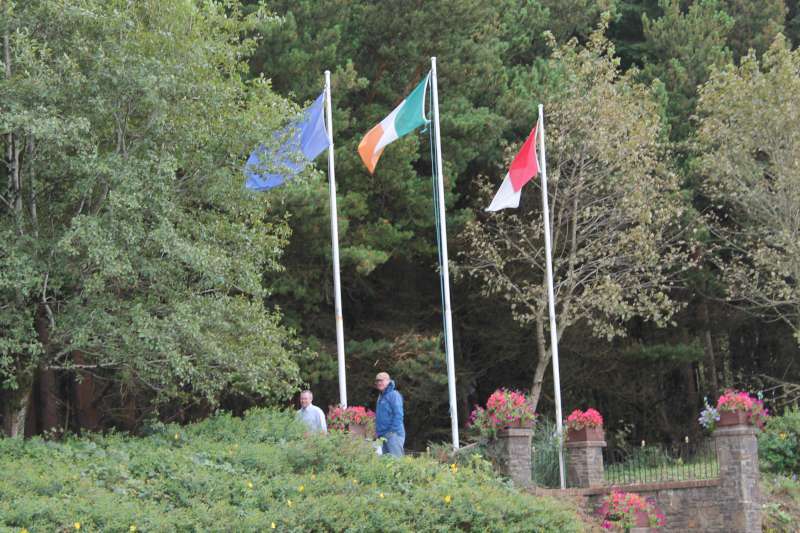 Millstreet Park was set up to provide the grounds for every type of recreation for the people of Millstreet. The selected committee was supposed to represent a wide range of clubs and societies from the town, as laid out in the ‘Rule Book’, and hence the activities in the park would reflect this. This is certainly not the case now ..and hasn’t been for quiet a while. The committee is basically a GAA club in all but name. The increasing amount of infrastructure associated with the GAA has virtually turned it into a GAA park. The floodlights (with recently upgraded bulbs) now mean that games are played day and night, summer and winter. Meanwhile most of the orange street lights installed to facilitate walkers and joggers have been blown for 12 months or more. Last year an elderly neighbour tripped over tyres on the path in the dark. The simple activity of walking around the perimeter during a game is not a pleasant experience and so nobody does. A dozen signs shout at dog owners to clean up after the dog and not to let the dog off the lead..spouting the usual health and safety line. I’ve seen 3 young men carried of the park in stretchers in the last 12 months. None were attacked by dogs. The only savaging that goes on by dogs is that which happens during the coursing. Meanwhile the pitch and putt course is left go to wreck and ruin. 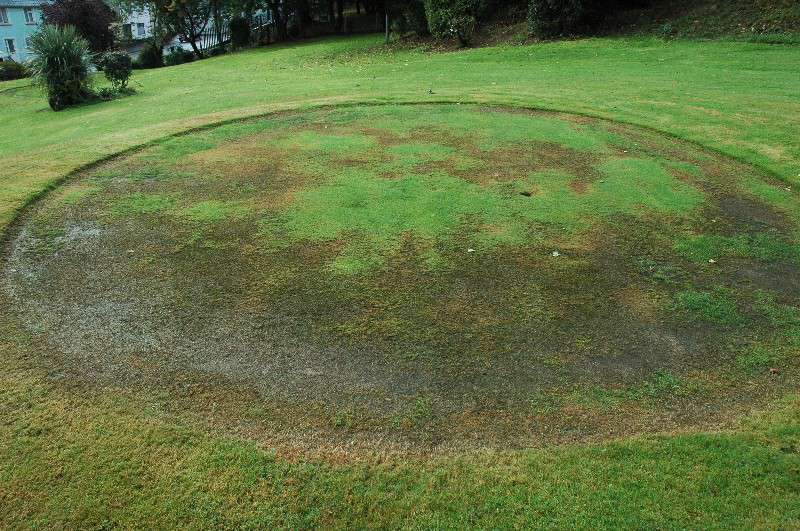 The greens have scarcely 50% coverage of grass for the last 2 years, no flags in place, and weekly vandalism at the clubhouse left go unchecked. (see pictures). John Sing must be turning in his grave. 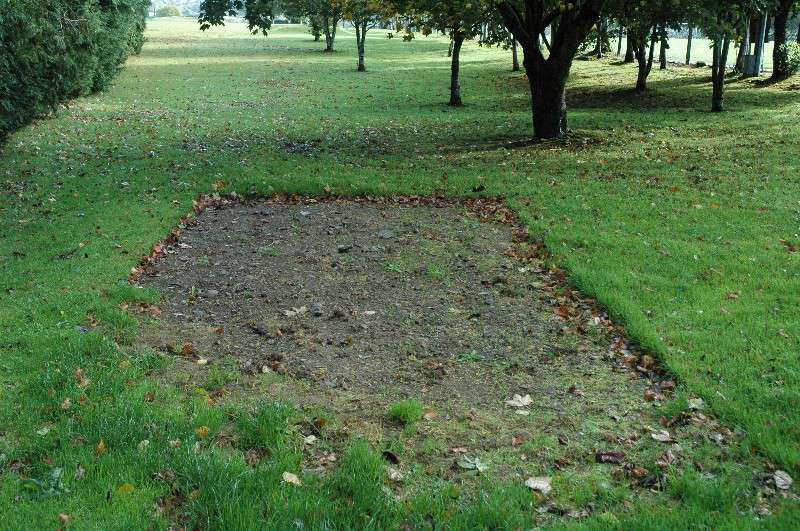 A swath of ground in the beautiful area under trees at the top of the pitch and putt course was cut out to re-sod the GAA pitch. That sums up the attitude of the committee perfectly. Meanwhile the GAA pitch is in splendid condition. And I believe further plans are afoot to encroach into that beautiful wooded area in the pitch and putt and erect a HURLING WALL!! The only hurling I can think of when I think of this is to vomit. It really is time the GAA found a separate grounds so that they can run the show as they like and return the park to the people of Millstreet . Today they are back again with the chainsaws … I’m afraid to go down the lawn for fear of what they’ve done. I don’t know if anybody else cares about this.. if you do write to Millstreet Town Park committee. PRO <***removed***>. Don’t expect a reply though. And stop buying local lotto tickets..
matt murphy well said about the pitch and putt. I was green keeper there for 23 years had in in good order. now look at it. greens very bad. it’s sad to see it that way. You are correct in one thing – the town park is for everyone (not just the walkers). Well done to the Town Park Committee for all the improvements that have been made over the years, keep up the good work. This is what happens when a single organization, in this case the GAA, is allowed to dominate the usage of an area. The GAA has no interest in a “Park” for the usage and enjoyment of the entire community. Their single goal is “games” and they appear to have single mindedly set out to achieve that objective. Unless the “community” take back leadership and insist that the park is there for the community’s enjoyment, and not just those who enjoy gaelic games then Millstreet park will become “The GAA” gounds with everything else left to wither and die until the GAA “offers” to “look after a neglected area”. 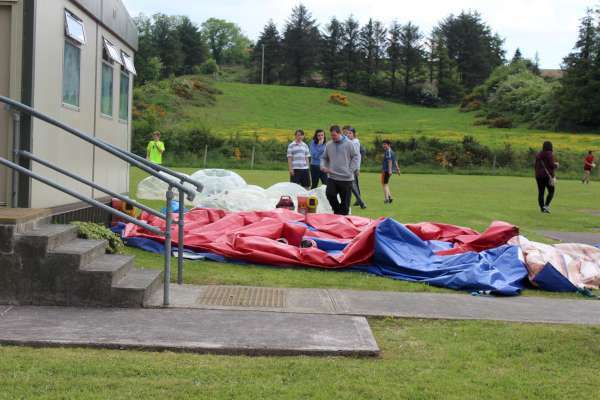 That will be the end of Millstreet Park. I am also not happy about the cutting down of those trees and I feel it makes the park very ugly. But this article seems very anti GAA. Coming from someone who is a member of the GAA the town wouldn’t be the same of it wasn’t there ! The GAA teaches it’s members a sense of respect and values .. I know a lot of my friends if they weren’t playing GAA they would also be drinking in the pitch and putt and vadalising local areas . If you look back on the recent attacks of vandalism on the town park I really don’t think a member of the GAA will be a culprit in any of them . If the facilities were not there, the GAA wouldn’t be able to run. So sad to hear this happening to our town park i remember in my youth all the fun we had playing among the trees inside the station road side which have long since been cut down no bother to us to go to the town park and throw a rope over our favorite tree and with piece of wood for a seat we had endless hours of fun with our makeshift swing playing pitch and putt with only one club as that was all we had and balls we found that were lost. We were always safe in the town park the fun family days in summer with the carnival in full swing the 3 legged races the egg and spoon races the donkey derby’s the terrier races we had no fancy shoes or equipment for running but we had great fun.I have not been down the lawn in some years but did obtain a copy of the book Down The Lawn it did not depict any of the reasons why the Lawn was founded. All it told us about was all the GAA activities. Sad really for such a small community to be dominated by one organization. 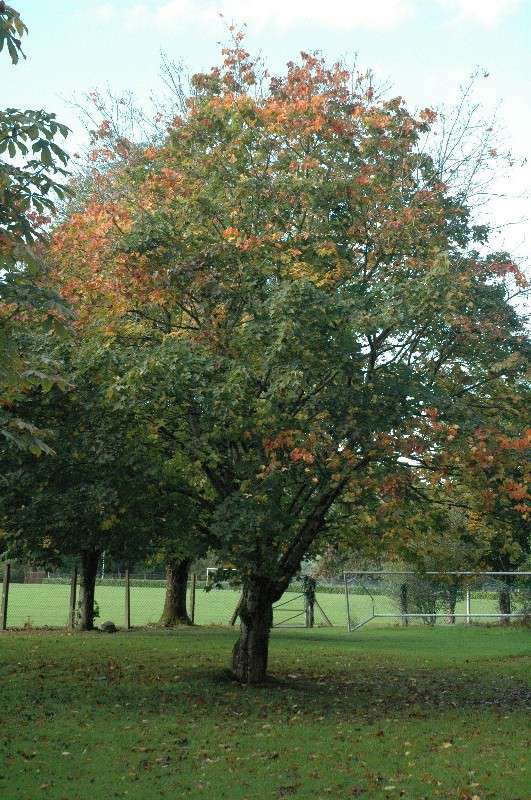 Looking at the pictures in Matt s article those trees were planted when the town park was being developed in the 1950,s it is sad to see them desecrated without consultation with the people who play the Millstreet town lotto for the upkeep of Millstreet Towm park not the upkeep of the GAA A public meeting should be held to discuss all matters of the town park as surely it belongs to the people of Millstreet and not the GAA. I was utterly disgusted when reading this article which criticises so many people of our town. The article stated that these conifers ‘provided shelter from the southern gales and a brief but pleasant escape from the concrete and metal jungle’-as a regular female walker in this park I for one feel much safer that this area is now in open view. This article failed to mention the broken glass which was often left by vandals under these conifers….surely these vandals won’t be drinking in such an open area now, thus making the pathway safer for the many walkers/ joggers and even the dogs that are left roam freely by certain dog owners!!!! While on the topic of the vandalism which this letter referred to at the pitch and putt clubhouse, I presume the writer has reported this to our local gardai since he is so concerned about his beloved town park?? Or are the gardai just another group that this writer wants to find fault with along with the town park committee, the GAA Club and even the staff of Scoil Mhuire B.N.S ( ‘the inglorious view of the gable end of the National School along with the 40ft metal container)? 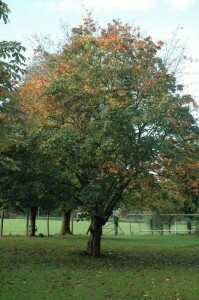 The writer points out that ‘Millstreet Town Park’ was set up to provide the grounds for every type of recreation for the people of Millstreet’ yet it is obvious that the writer believes that coursing does not fit under the category of ‘every type of recreation’ , a recreation that many people in Millstreet are so passionately involved with. As for the reference to the dog signs, which certain dog owners blatantly ignore on a daily basis, I have had the unpleasant experience of walking on dog foul while enjoying the walking facilities in our town park. Imagine if one of our children were to fall on this dog foul while using the town park for athletics, camogie, football etc!! I encourage everyone to type ‘Town Park’ into the search engine at the top right corner of the Millstreet website. Some of the many items you will see include images of the wonderful improvements made to the children’s playground, the many colourful flower beds, painting projects, tarmacadam projects, water features, bridges and gates etc along with numerous complimentary comments commending these projects. These projects were funded by the support of people buying our local lotto tickets so please ignore the writer’s ridiculous demand to stop supporting the local lotto. There is also a link which allows users to directly contact the Town Park Committee via email with any queries. Millstreet Town Park is one of the nicest parks around. We are a small community and the park is the fulcrum of our community. The Town park committee should be commended for all the great work they have done over the years (Voluntarily). I am not a fan of coursing (and it’s also an eyesore – noted when home last month) but I accept its existence as the park facilitates many activities and I can’t expect to like ALL of these activities, thankfully GAA, Soccer, walking, Kids playground etc are all things I admire .Whilst I may not agree with your opinion I respect it. Your article may or may not have interesting / worth debating point about the trees but I’m guessing the town park committee did not cut them down for fun and have valid reasons (All members I know have Millstreets wellbeing at heart). We used to have a tennis court (Who used it? ) 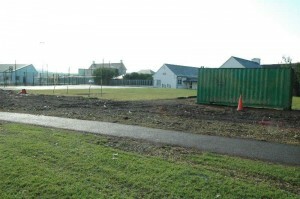 thankfully it was replaced by an excellent astro turf pitch which is used regularly. Which brings me to my final point? Don’t we want the park to be a hive of activity morning noon and night? Don’t we want as many young people as possible down training as many nights as they can in the winter, don’t we want the astro turf full of people morning noon and night, don’t we want people to walk / run around the perimeter morning noon and night. I’m not here to lambast anyone , just wanted to point out we have a great town park ( I’m gone 17 years and every time I come home I go there several times and think it’s amazing how well its kept and theres always something new / upgeraded) . * someone today described the corner by the boys school which was cleared as industrial! surely there is some kind of decent plan for it. 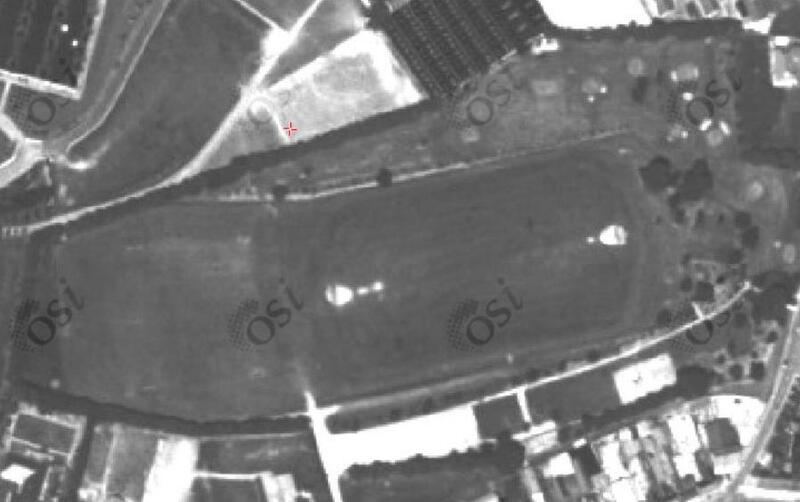 In the last 10 years or so, all bar one or two of the old trees from the playground to the hare escape on top of the park have been cleared (see the satelite photo above from 1995). However most of the area below the main entrance has been replanted and in time will come good again (but trees take a lifetime to grow) From what i’ve heard, it’s planned to continue the fence of the astro pitch up to the hare escape. if that’s what’s planned, then it’s really not too appeasing, but most of us don’t know, and are living off second hand information. i wouldn’t agree with matts views on the GAA. i’m a member of the GAA and i agree that GAA activities dominate. 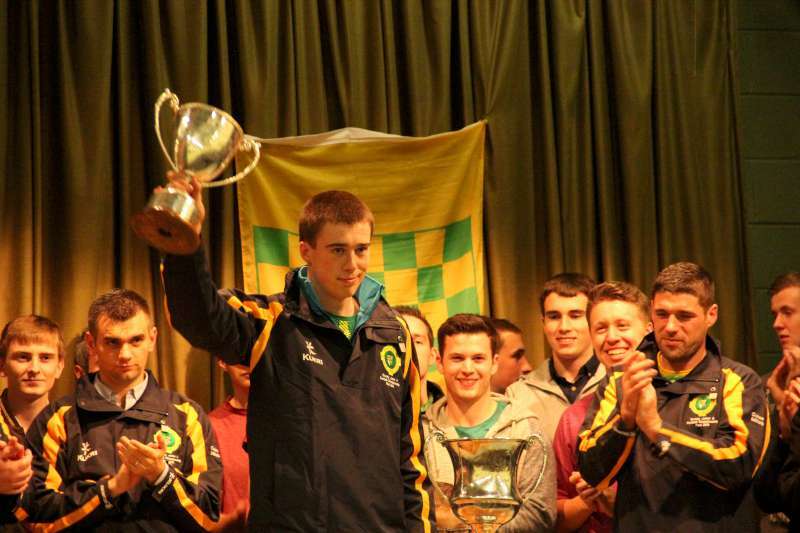 The activities on the field are Football, Hurling, Camogie, Soccer, Athletics, coursing. what else could take place there? 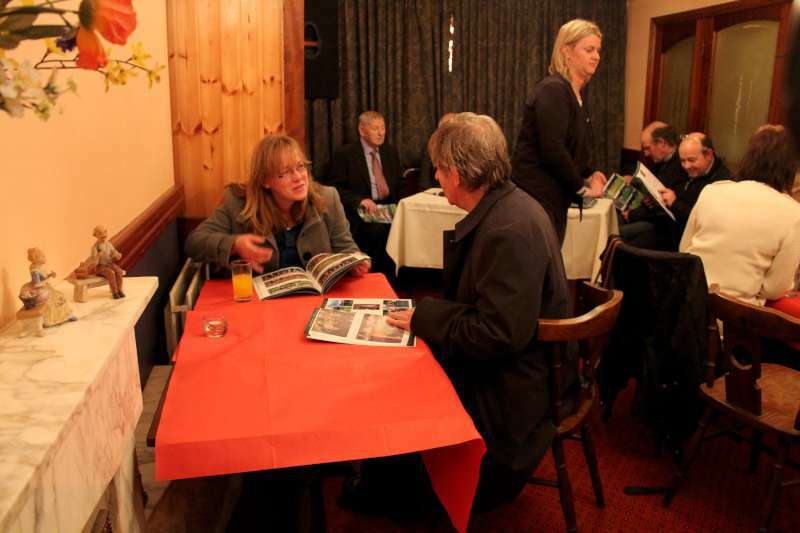 (carnivals, special events) and what would replace them if the GAA left? It would become a very quiet place. Much better that the park be a hive of activity in the town where people can meet and interact rather than a place where few people have reason to venture to. It’s too late for the trees now, and we may never know the reasoning and decision making behind removing them was. Maybe the lesson from this is that most of the rest of us in town don’t have a clue how the Town Park is run, or how it’s envisioned to change in the short or long term future (get involved if you want to!). We get to know about things when something is completed. For all the above good and bad (and you’ll never please everyone), the Town Park is fantastic facility for everyone and a lot of people have put in a lot of effort (and lot more people have supported it) to make it what it is today. 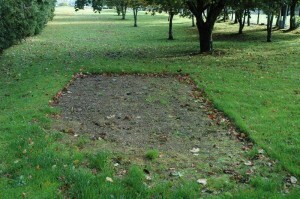 I’m sure that all have the betterment of the Town Park for all as their sole interest. Go down there at any time of any day and there’s always people doing this thing or that. We should all count our blessings that some smart individuals back in the 50s (?) realised the importance of this green space so close to town as an amenity for all. i for one am happy that matt wrote this. it’s certainly not to some peoples liking, but after getting no reply to the petition, he’s perfectly entitled to have his views heard, and also showed integrity to put his name behind it. There were bushes and trees and birds and animals in Ireland long before there was Hurling and Gaelic Football. 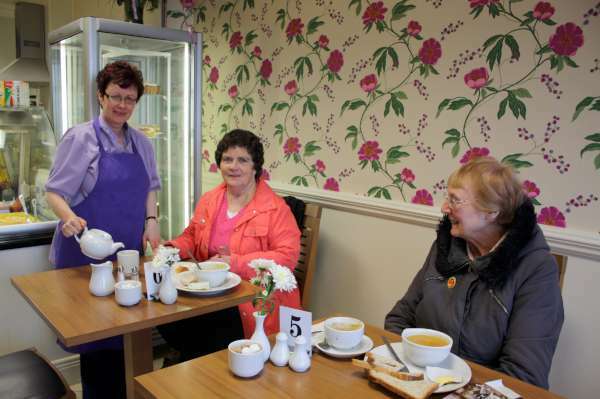 Is Millstreet Town Park near it’s first silent Spring? You have summed it up beautifully Francis. I would know most of the members of Millstreet town park committee and have absolutely nothing personal against any individual on it. I’m also aware of the all the time and effort that these people give to the community and to the positive developments to the park over the years.I acknowledged this in my origonal direct letter to the committee. I have nothing against the GAA. I enjoy watching a good hurling game as much as anyone. Its heartening to see so many young kids training / playing in the park all summer long. In a nutshell, what I object to is the relentless addition of infrastructure in the park at the expense of whatever natural flora and fauna that is left. And the way its done. The park means different things to different people. My favourite place is amongst the trees in the pitch and putt. I met William O Leary snr there a few years ago while walking our dogs and mentioned that the trees were maturing nicely (I’m guessing he was probably on the committee that origonally planted them..). He whispered back ‘ Its a little bit of heaven’ . I agree and hope it stays that way. Trees are’nt the problem . We are told they are the solution. We need many more trees in the park..I mean hundreds. No more metal or concrete or plastic stuff. There is a fine clear patch between the boys national school and the top of the park. The ground is already reddened.It would be an ideal spot for a couple of dozen nice sycamores. They might be mature by the time some of those kids mentioned above are older and enjoy a walk in the park . Many thanks to Francis Duggan. His words say it much better than mine. So eloquently put by Francis. I commend you Matt for being brave enough to voice your concerns. Everyone is entitled to their opinion and we are extremely lucky to have such a wonderful forum in which to share them. Huge thanks as always to the admin of this fantastic site and also to the town park committee for their hard work and dedication.